"tHotline" switches off manner mode from a registered phone number's incoming call after setting period time for call notification. Sometimes we aren't aware the incoming call in manner mode on. if not urgent call, it's no problem. But we don't want to miss an urgent call in next cases. A Baby is going to be born any minute now! My kid has a fever, so have to pick up him/her from kindergarten! In these cases, tHotline is useful. Manner mode off target phone number can be registered, so only registered phone number's incoming call can switch manner mode off. Multiple target phone numbers can be registered, and time to manner mode off can be set by every phone numbers. Please tHotline is switched off, if you are at the place that manner mode off bothers other people such as at the train, theater. Fix an issue that does not return to the silent mode. tHotline running status, target phone information (name, phone number and wait time to manner mode off) list. To enable tHotline, "Run tHotline Program" button is switched on. Adding target phone information,press "Add" button. Or press "menu" and "Add". 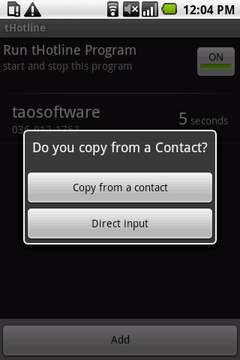 Select "Copy from a contact" or "Direct Input". If "Copy from a contact" is selected, contacts list is displayed. Choose a target contact from contacts list. 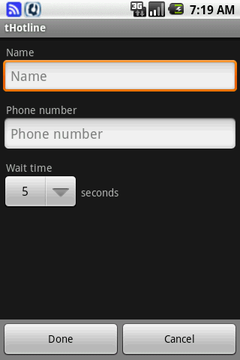 Input target phone information (Name, Phone number and wait time to manner mode off). If "Copy from a contact" is selected, name and phone number is already filled by the selected contact. Confirm the entry and click the "Done" button. 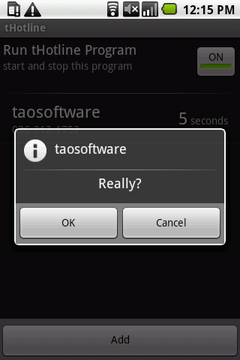 Select "Delete" and press "OK" button on the delete confirm dialog. 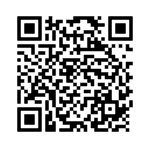 Download from Android Market "Applications -> Lifestyle"
Bug fix. Ringer volume is low when the phone is changed to "silent mode" by volume button. "0" seconds is added to wating time choices. Corresponded to indication that a ringer tone is too loud from some models. Fixed the problem on 1.0.6. When ring volume setting was not able to be got, tHotline sets it as the half of the maximum volume temporarily. Corresponded to indication that a ringer tone is too loud from Xperia AX(SO-01E). When ring volume setting was set minimum, tHotline sets it as the half of the maximum volume temporarily. Support for Galaxy S II(SC-02C) and HTC J butterfly(HTL21). Fix an issue that does not work on some device.